In April of 2010, I realized that my life had changed in a big way. Was it an “ah hah” moment or just a realization of the potential things I could grow in the greenhouse? I called it “The Greenhouse Effect” loosely titled from the term made famous by Al Gore because about global warming but more importantly because of the effect the greenhouse had on me and my community. 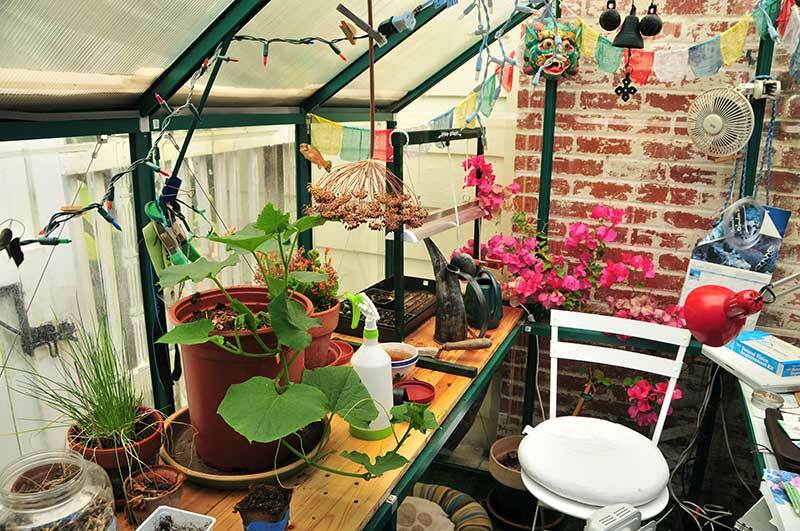 I always thought it would be fun to have a greenhouse but I never knew how much it would change my life. A little more than seven years later, we have ten terraced beds cut into the hillside in our front yard, (yes, our front yard) and a little farm on the lot below. Five years ago I started a group at work called “Green Wednesday” when a group of coworkers have a green lunch consisting of home grown lettuce when in season, kale chips, home grown tomatoes and much more. 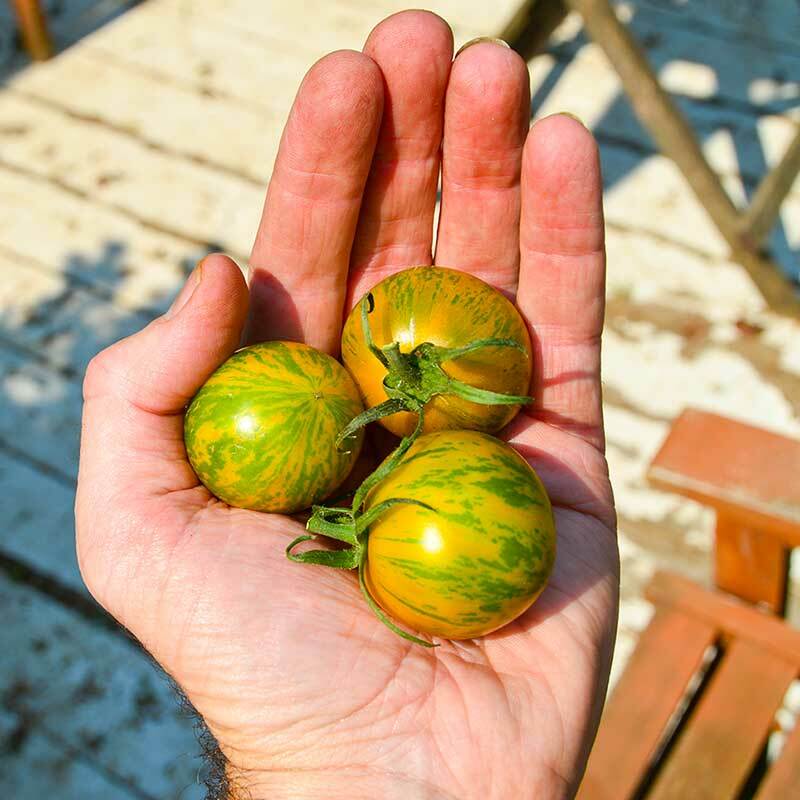 During that first year, we saved some of the tomato seeds left over from a plate of sliced tomatoes of a few types of heirloom tomatoes; green zebras, purple cherokee’s and Pink Berkeley Tye Dye’s. It was hard to distinguish which seeds were from which tomato so we called them “Green Wednesdays” and the rest is history. I said to everyone, “I am going to save these seeds and call them ‘Green Wednesday’s’ because we don’t know which seeds go with which tomato. I told them that we will all get Green Wednesday tomato plants the following season. I carefully saved the seeds and the following spring, I started the seeds in the greenhouse. The following spring everyone got a Green Wednesday plant for their garden or a pot at home. That is just one of the positive effects the greenhouse has had on me and the stories will continue. What the video as the greenhouse gets assembled right before your eyes. Join our mailing list to receive the latest news and information about coming events. Yes, I want to start planting seeds! Congratulations - it's time to start planting! Building community one seed at a time! Hello and welcome to MariLark! Copyright 2019: MariLark building community one seed at a time.